Jute Portable Cot is also known as charpai, manja, manjaa, manji or khartiya. 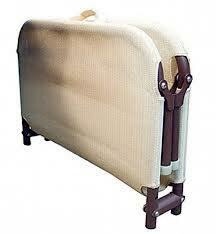 It is a kind of bed or cot, which find its wide use in the rural areas of Indian Subcontinent. The rope cot is made by weaving jute rope with the frame traditionally made up of wood, having four legs. These are very portable, hence can be easily put away when not in use. These jute portable cots made up of jute ropes have excellent tensile strength and are completely eco-friendly. 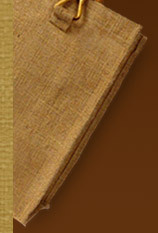 Jute is a warm fiber, which is mainly used in the tropical region for getting warmness. Today, jute portable cot have their wide demand throughout the world due to their unique appeal. Earlier, these jute portable cots or charpai was made using very strong wood of some particular trees. But today, one can easily find these cots made on the frame made up of varied metals as well as woods. Various rope cot manufacturers often design or carve the wooden legs of the cots so as to provide a classy and attractive looks. Even the craftsman use different types of weaving designs to beautify the appearance of their cots. Along with frame, the weaving work done by the artisans also provide strength to the cots, hence experienced craftsman ensure to tightly weave the jute rope with the frame. Generally, jute portable cots made up of jute find their extensive use in the rural areas, but now their demand has increased even in the global markets due to portable and biodegradable nature. One can find use of these cots in various restaurants and dhabas for providing traditional looks to the interior.